Where Should You Travel in 2019? The winter months have been long and cold. You’ve been working hard, putting in long hours and now you deserve a break. But, where to go? The world’s your oyster, so it’s said. But, with so much choice, it’s hard to find the right destination that will truly excite your spirit and soothe your soul in equal measure. We’ve put together a list of top destinations for 2019 to suit every type of traveller. Find your ideal holiday spot and book yourself the perfect getaway for summer. For a lovely, romantic getaway for two, you’ll find what you’re looking for in Malta. Only three short hours from the UK, you can fly to Malta from most major airports. The most romantic time of day is sunset. 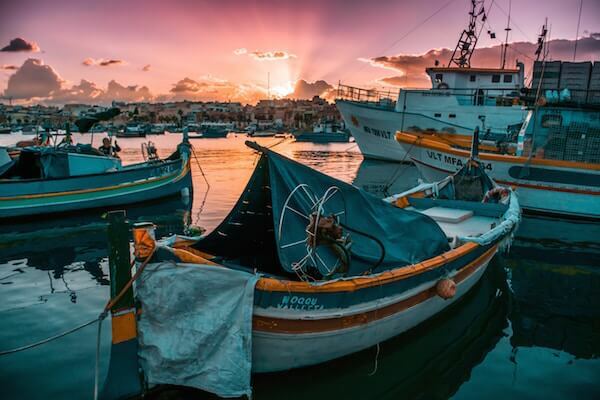 And in Malta, you’ll bear witness to the most gorgeous sunsets over the Dingli cliffs and St George’s Bay, or simply from one of Malta’s beautiful secluded beaches. Take a private boat tour or spend a day swimming in crystal clear waters. Discover isolated alcoves and hidden beaches. What better place for a romantic proposal than a secluded beach at sunset? Grab dinner at the picturesque St George’s Bay, overlooking the harbour. Feast on delicious Mediterranean cuisine by candlelight, watching the moon reflect from the shimmering waves of the bay. The Indian Ocean has long been renowned as a top destination for luxury travel. Think of places like Mauritius and The Maldives. Lesser known Zanzibar makes for a less crowded, more luxurious escape. Offering pure white secluded beaches, crystal clear waters and some of the best swimming and snorkelling in the world. The beaches are completely unspoilt, stretching for miles and miles, framed by clear waters and azure skies. Perfect if you simply want to get away from it all and recharge. See the beautiful marine life, spend some time snorkelling or taking advantage of the great diving opportunities Zanzibar has to offer. 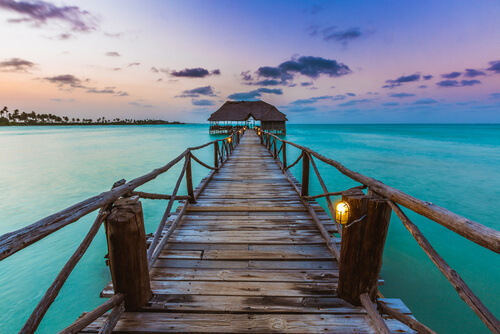 Made up of many islands, Zanzibar is a great spot for an island hopping tour. Explore the amazing coastal forests or river estuaries. Or head inland and discover the ancient settlements of Stone Town. This exotic destination will transport you away from your daily concerns and into utter peace-filled bliss. For the history and culture lovers, Egypt is a treasure trove. Millennia of history, legend and mythology have played out across Egypt’s sands, leaving behind fascinating artefacts and intriguing stories you can experience first hand on a trip to this incredible land. 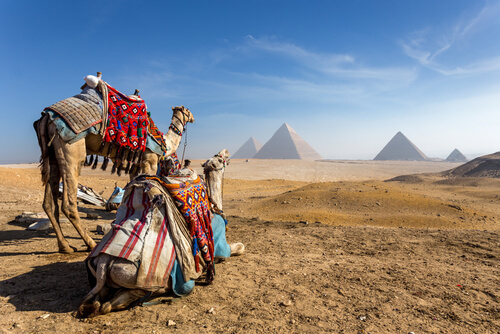 One of the world’s great wonders, you can’t visit Egypt without seeing the great pyramids. Be awestruck by their scale and thrilling history. Spend time visiting the painted tombs of the Valley of Kings and see the tombs of Ramses I, VI, VII, Thutmose and Amenhotep. Visit the world-renowned Egyptian Museum to see priceless historical treasures and to learn more about the amazing history and culture of the place. Take a cruise along the River Nile and enjoy the sun glinting from the waves as you traverse the famed river, making stops at some more exciting historical sites. If you’re bringing the whole crew along, for family-friendly fun head to Lisbon. The flight from London is less than three hours, making for a somewhat less stressful trip, especially with littles in tow. 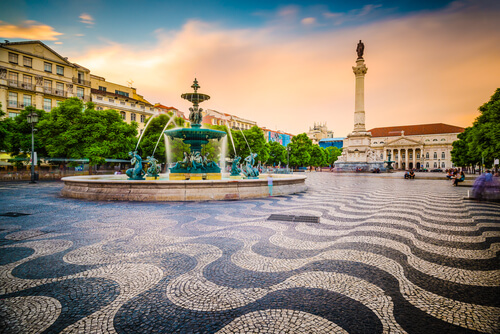 While a major city, Lisbon offers a laid back feel that you don’t often experience in most European cities. It is completely child-friendly, offering tons of activities that kids and adults will both love. One particular attraction of note is its world-famous aquarium, home to hundreds of incredible species – you’ll while away hours, and the kids will learn something, too. Spend time relaxing on the Praia de Rainha beach, or surfing at Guincho beach. Enjoy some delicious ice cream from one of the many cute cafes and family-run restaurants to be found along the sunlit side streets. Lisbon offers the perfect balance between activities that will keep the children entertained and spots for the adults to relax. If your ideal holiday is one that challenges you and lets you discover places not many will go, Nepal is for you. Wild and beautiful landscapes, friendly local people and once in a lifetime experiences you will never forget. Everest isn’t the only sight to see in Nepal. Hike the incredible Langtang trail, see majestic tigers and rhinos in Chitwan National Park or go rafting along the Seti River. Watch the glorious sunset at Kathmandu before heading off on an amazing adventure beyond your wildest dreams. Nepal has a rich culture, with plenty of opportunities to immerse yourself in its far-reaching history. Try the local cuisine, from traditional dal baht to the celebrated Yomari. Take the opportunity to learn about the country’s spiritual history by visiting one of its many temples, stupas and religious sites. 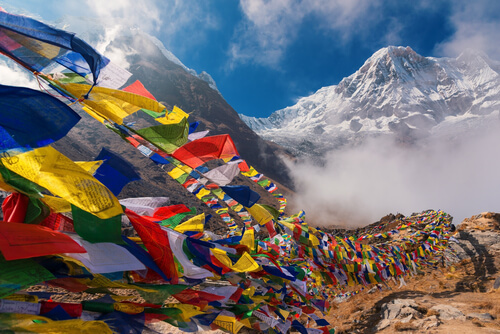 Nepal is a beautiful country, rich in heritage, incredible views and staggering mountain ranges. Perfect for an adventure trip of a lifetime. 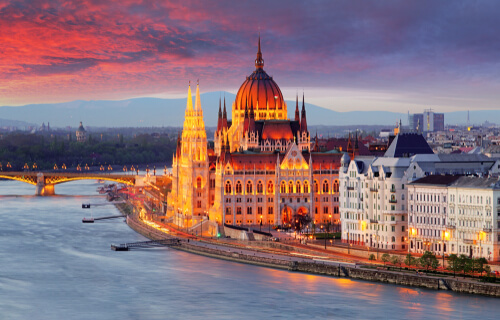 Vibrant, beautiful Budapest is a fantastic destination for a cheerful break with a group of friends. Offering stunning architecture, exciting nightlife and all-around fun atmosphere that draws travellers from all over the world. Take advantage of one of the many free walking tours to discover the city’s amazing history. With a huge amount of fab free attractions and delicious, inexpensive local cuisine, your budget will go far when you travel to Budapest. Visit the thermal baths, or take a trip to the thrilling House of Terror Museum for scares and laughs aplenty. When the day is done, soak up some of Budapest’s famous nightlife scene. Need some help deciding where to book your 2019 holiday? Take our quiz to find out where you should travel next. For luxury airport transfers from Salisbury, Andover and Winchester, contact Spire Travel on 01722 320320 or complete our online booking form. Jack McGivern Works with Spire Travel as a marketing specialist.